Discover new horizons of fresh powder. Find the most remote and thrilling lines. Become a pro at off-piste skiing. Learn how to understand and read the mountain environment. Improve your knowledge of the snow and self-rescue equipment. 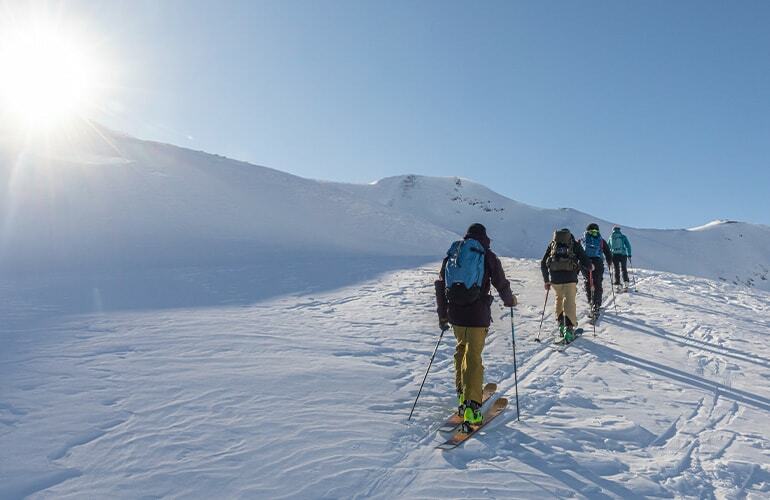 Livigno's Alpine Guides offer a range of courses and off-piste outings for all levels, whatever your experience. Even when organising your own outings, make the most of their local experience to maximise your freeride escape. Suitable for all freeriders. The mountain is an exciting yet potentially dangerous place if you're not prepared. 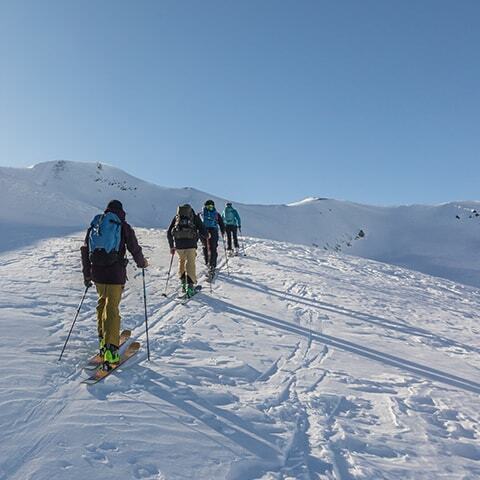 To go off-piste skiing you must be aware of the environment and snow conditions, and you should always carry personal safety equipment and know how to use it. Improve your off-piste skiing technique. Ensure you are familiar with self-rescue equipment and how to use it correctly. Give you better knowledge of the snow by learning how to assess avalanche danger. Throughout the season depending on snow conditions. Booking is essential. Skipass, freeride equipment, backpack with safety kit (avalanche transceiver, snow shovel and probe(1)). 8.45-15.30: €270.00 for 1 person + €40.00 for each extra person (maximum 6 people per guide). (1) Safety kit (avalanche transceiver, snow shovel and probe), possibility to rent it at a special price. For individual skiers/snowboarders and small groups (maximum 6 people) who want a customised day out off-piste. Using the skilifts and short walks, you will be able to access the wildest slopes for your freeride descents. Intermediate and advanced routes with two duration options: M (only morning) and XL (whole day). We can also arrange multi-day trips. Skipass, freeride equipment, backpack with safety kit (avalanche transceiver, snow shovel and probe(1)), backcountry climbing skins are also recommended. Size M (8.45-12.30): €210.00 for 1 person + €30.00 for each extra person (maximum 6 people per guide). Size XL (8.45-15.30): €270.00 for 1 person + €40.00 for each extra person (maximum 6 people per guide). Get details about the freeride tours. Fill in the form to give us a few details. We will get back in touch with you.